Düstere Soundscapes mit Elementen aus Industrial und elektronischer Musik. Perfekt geeignet für spannungsreiche Szenen, Nervenkitzel und Anspannung. 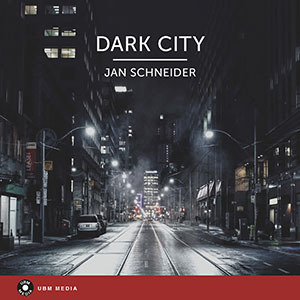 Dark and deep, threatening soundscape, for suspense filled foreboding scenes. Deep, mid tempo track with a sense of anticipation. Light suspense is easily portrayed with this composition. A building sense of anticipation and light tension. Light, suspenseful electronica , flowing with eagerness. Dark, yet light electronica, with light industrial elements. Deep and light background that can be used for positive yet deep images. Rolling, mid tempo, suspence or drama. A night time drive by comes to mind. A slow thoughtful soundscape with a good beat and light anticipation. A dark, mid tempo, lightly dramatic track, with light industrial elements. Lightly monotonous backdrop, with a feel of slow tension and expectancy. A throbbing sense of expectation or urgency is easily portrayed with this composition. Lightly industrial, buidling soundscape with a light sense of anticipation. A strong easy listening composition, with a good positive ambience or a light sense of fulfillment.